Colour and texture can be added to both your indoor and outdoor spaces with the use of plants. It is essential to water them property to keep them healthy and growing. Knowing the quantity and frequency of water your plants require can help you create vibrant indoor or outdoor spaces. The professionals at Greenbloom are here to help you get it right. Learn the requirements of your plants and match your watering schedule to fit their individual needs. What Are the Seasonal Requirements? 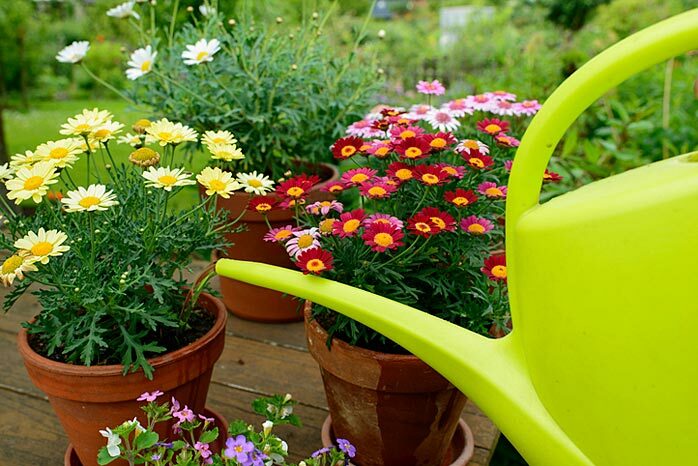 Most plants actively grow during the spring and summer months and generally require more water during this period. During the cold winter season the growth rate slows, and plants require less water. Keep in mind your household temperature can affect watering. Some plants are active during the fall and may require the reverse treatment. Try to keep the conditions similar to the origin of the plants. Tropical plants require a warm and humid environment. Cacti prefer dry and hot conditions. Flowering plants generally require moderately bright light. Most houseplants require moisture in the air, even cacti. Humidity levels should be at least 40% but preferably closer to 50-60%. Humidity relates to watering as the pores through which plants breathe lose most of their moisture when the surrounding air is dry. Plants cannot always replace this loss with the water they absorb through their roots. There are several ways to increase humidity for your plants. Spraying the plant with warm water, a humidifier or a tray with stones and water under the plants are all ways of increasing the humidity levels. How Often Do Potted Plants Require Watering? Pot or container size. Small pots tend to dry out faster than larger ones. Root system of the plant. As plants grow, the ratio of root to soil changes. The bigger the root system in the pot, the faster the remaining soil can dry out. Humidity levels in your home or room. Check plants in the morning and again in the evening to see how fast they are drying out. Adjust your watering schedule accordingly. Each plant in your home may have different requirements. Similar to watering, the light requirements vary by plant and are indicated on the tag. Full Sun – 6 to 8 hours of light per day. Partial Sun – 4 to 6 hours of light per day, mostly in the morning and afternoon. Shade – Less than four hours of light in a day. The amount of sunlight your houseplant is receiving in a day can influence watering. The more sunlight the faster soil can dry out. How Do You Know If Your Plant Needs Water? Push your finger approximately an inch into the soil. If you don’t feel moisture, your plant needs water. If you can lift the pot, pick it up. If the pot seems light for its size, water it. Why Are Long Spout Watering Cans the Best? Long spouts allow you to reach under the leaves of bushier plants. This keeps the leaves dry and helps prevent disease. Allows you to direct the flow of water to where you need it. Which Containers Are Best for Houseplants? Non-porous containers such as ceramic, plastic or glass are all good choices as the container material does not absorb moisture from the soil. 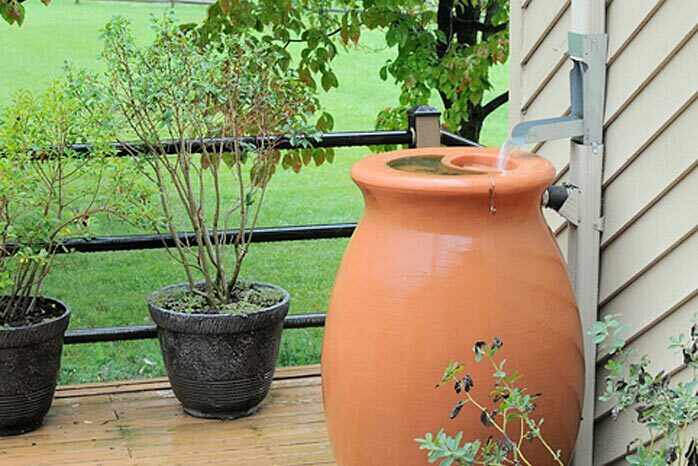 Terra cotta pots tend to lose moisture more quickly than ceramic, resin, glass and concrete and may require more frequent watering. Pots with drainage are preferable. The top of the soil seems dry. The colour of the soil becomes light. Yellow and dried leaves appear towards the bottom of the plant. Soil pulls away from the side of the container. The plant looks wilted even when the soil is wet. Blisters appear on the leaves, indicating edema. The leaves turn yellow, and the new ones start falling off. The roots turn brown, grey or become slimy and may have an odour. When Is The Best Time To Water Potted Plants? 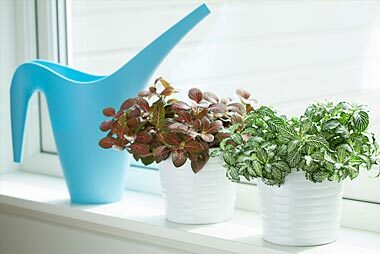 Mornings are the ideal time to water your houseplants. Avoid the afternoons because the heat will cause water to evaporate before the plant can absorb it. Early evening, though not ideal, is still acceptable. Night time watering can promote disease and should be avoided. How Do You Water Houseplants? Water the soil surface and allow the soil to soak the water up. Try to keep leaves dry. Water with a slow gentle stream soaking the entire soil surface, not just the base of the plant. Ensure the water is not chlorinated. Use tap water if it is not too hard, but do not use softened water as it contains salts. Allowing tap water to sit overnight is a good practice. This allows the water to come to room temperature. Watering deeply and slowly works best. What Should You Do If the Water Doesn’t Penetrate the Soil Surface? If the soil surface has formed a “crust” or hard surface, gently break up the surface soil. What Can You Do If The Water Runs Straight Through? Usually caused when soil has become extremely dry. The soil shrinks or pulls away from the side of the container creating a gap letting the water run straight through, the soil cannot absorb the water. Gently push the soil back toward the wall of the container removing the gap and water slowly and gently. It may be necessary to soak the pot for a brief period to give the soil time to absorb the water. Approximately 10 – 20 minutes should be enough. You may need to increase the frequency of watering. Why Should You Not Leave Plants Sitting in Water? The soil will remain too wet. It will not allow excess water to drain away. The excess moisture can damage the roots causing them to drown and rot. Plants requiring high humidity may be placed on a saucer of water and pebbles. The water increases the humidity level as it evaporates, and the pebbles keep the root system above the water level. Why Do You Need Drainage in Pots? Roots need air as well as water. Allowing the water to drain freely leaves space for air to reach the roots. Allow your plants the chance to dry out slightly between watering. What Should You Do If the Pot Does Not Have Drainage Holes? Determine a way to make a hole for drainage in the pot. If that isn’t possible, switch your pot or consider using the pot as a decorative cover over a plastic pot and saucer. If you wish to use a pot without drainage you may place gravel or another coarse aggregate in the bottom of the pot before adding the soil. Care must be taken not to overwater the plant. Combine plants with similar water requirements for the best results. Wind has a drying effect on both the plants and the soil. Containers placed in windy areas may require more frequent watering. How Do You Know If the Plant Requires Water? Use the same method to check soil dampness as used for houseplants. Water hanging baskets and outdoor containers using the same method as houseplants, deeply and slowly, soaking the entire soil surface not just the base of the plants. What Size Container Should You Use? Large containers hold more soil than smaller ones and usually need less frequent watering. Container should be appropriate to the size of the plant(s). What Material Should You Use for The Container? There is no right material. They can be created using wire, rattan, plastic, or glazed pottery. Terra cotta and moss containers are porous and dry out more quickly than resin or concrete. These types of containers will need more frequent watering. Reflected heat from buildings, driveways and other hard surfaces can cause “micro climates” which can make an area warmer and drier. These areas may require more frequent watering. Increased heat may cause scorched or damaged leaves. Refer to section on drainage for indoor plants. What Are the Signs of Too Little or Too Much Water? These signs are similar to the ones seen in houseplants. The amount of moisture required will depend on the type of the plant in the container. Do not assume the rain penetrated deeply enough. Check whether the hanging basket is exposed to the rain. What Is the Best Way to Water A Hanging Container? Check hanging baskets every day, they are exposed to sun and wind which can cause them to dry out quickly. Small hanging baskets will dry out faster than larger ones. Plastic, ceramic or glazed pottery containers do not dry out as quickly as fibre, moss lined baskets and clay. You can also use drip irrigation. When Is the Best Time of Day to Water Hanging Baskets? Watering in the morning is preferred, however early evening is also acceptable. Water when your lawn shows signs of requiring moisture. Mornings are the ideal time. Water until the top 6 to 8 inches of soil is wet. 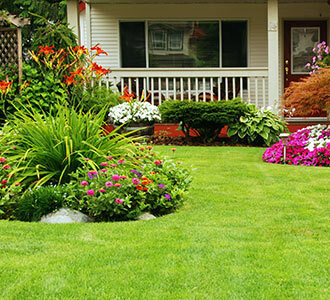 Your lawn requires at least 1-1 ½ inch of water a week. How often you water will be dependant on weather conditions. Sod – First day water 45-60 minutes. Water should penetrate to a depth of 4-6 inches. For the following two weeks water twice a day for 15-20 minutes. The third week once a day for approximately 15-20 minutes. Fourth week onwards water every other day depending on the weather. Your lawn should receive about 1.5 inches of water per week. Water the new seed for 5-10 minutes immediately after planting to gently moisten the first several inches of soil. Maintain moisture in the seeded area from seeding on. Generally, water twice per day however how often you water will depend on weather conditions. The best times to water are early morning and evening. Note: Fertilizer Spill – Remove as much of it as is possible with a broom, and water the lawn thoroughly. 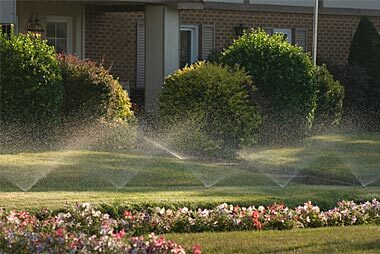 Irrigation system – Choose your system according to your landscape needs and budget. Soaker hoses – Suitable for small or medium sized lawns, and gardens. Sprinkler –These attach to your hose and can be moved to the area to be watered. There are different types available such as oscillating and rotary. How Do You Check If the Lawn Needs Water? Walk across your lawn. If the grass bounces back, you can rest assured that it has enough water. What Are the Needs of The Plants? Identify the soil type, (sandy, clay, loam) and understand how much water your plants require. Keep plants with similar water needs together. Read the plant tag for growing information for your plant. The tag will give you the watering needs as well as other helpful information. Refer to How to Read a Plant Tag. Mulch helps retain soil moisture as well as discouraging weeds. You can use an organic mulch (usually cedar) or inorganic mulch (rubber). Water your soil then lay down a 3-6” layer of moistened mulch. 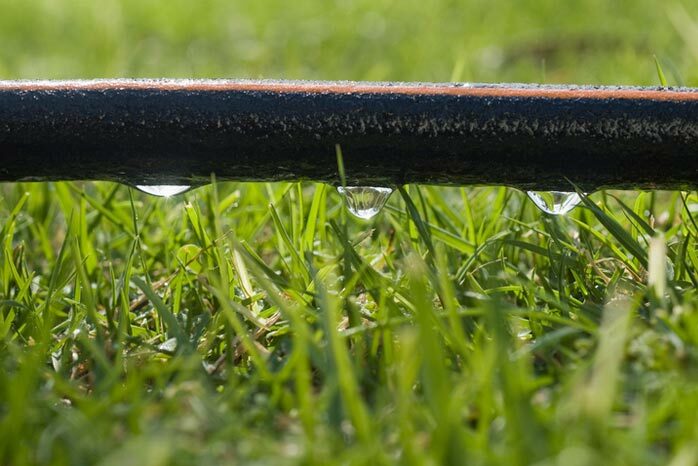 Sprinklers – They mimic rainfall and distribute water through a system of pipes. Drip Irrigation – It allows water to drip slowly through narrow tubes and reaches the roots. Surface Irrigation – Most common method which uses the force of gravity to distribute water by allowing it to flow into the area. Subsurface Irrigation – It is similar to drip irrigation, but the tubes are buried inside the ground. Soak – Uses a hose and helps to direct water in places where it is needed. Drip – Uses a drip line with outlets wherever required. Spray – Uses sprinklers that can cover a larger area. Design and layout – measure and draw property lines. This will make planning the types of sprinkler heads and locating the pipelines easier. 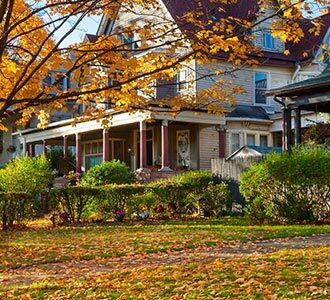 Include all measurements, trees, gardens, sheds, driveways and other hard surfaces. Label the different areas such as perennial garden, vegetable garden or lawn. Each area will represent a different watering zone and allow you to customize the type of sprinkler head. Design the water zones based on soil conditions, plants in each zone, and the amount of water needed. Sunny areas will require more water than shaded ones. Know the water pressure (PSI) and water flow rate (Gallons/liters per minute). These determine the pipe size to be used. Legal aspects of using water in your region. Details regarding any required permits. Some areas may need a specific type of backflow preventer or to conform to certain pipe requirements. Location of any underground utility lines. It should conserve water and reach all the essential zones properly. When Is The Best Time To Turn On The System? Morning time is typically preferred. How Long Should It Stay On? The duration may vary with the area and the soil type. It also depends on the type of system you have. 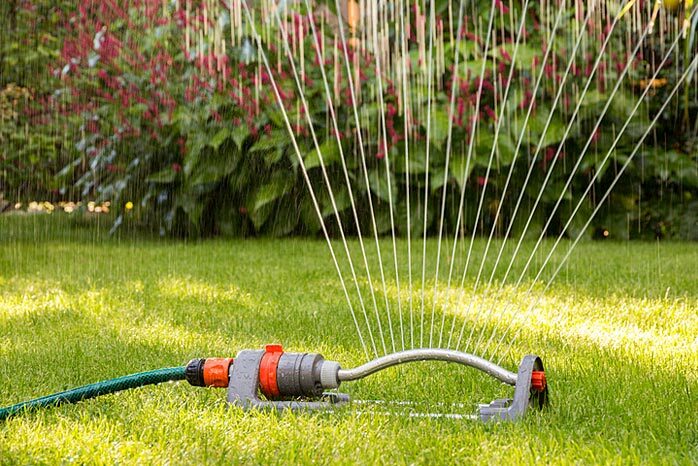 Ensure that your lawn gets adequate water before turning off the irrigation system. Allows you to program the system to activate when there will be minimal water loss to evaporation. Timers can also be programmed to turn the system off, preventing over-saturation. Timers can be programmed to turn on and off different irrigation zones. This allows you to water each area according to its specific needs. Help to prevent weeds and disease. Preserves nutrients and the soil structure. Allows you to have a manageable gardening schedule. Have your system winterized to prevent damage from freezing – best done by a professional. Ensure the water supply is shut off for winter and main shut off valve is protected against freezing. You will need to start your system in the spring – best done by a professional. Ensure the water supply is turned on, turn the water on slowly, give the system time to pressurize before opening it all the way. A check of the irrigation system should be performed twice seasonally at a minimum, once when it is turned on and again part way through the season. Ideally it should be done once a month. Can You Install an Irrigation System Yourself? Though you can install it yourself, for best results, you should consult professionals. A rain sensor measures how much rainfall has occurred. If there has been enough rain the sensor automatically turns off the irrigation system. There are three different ways they work, all of which break the electrical connection and prevent your system from pumping water. It is triggered by a certain amount of rain. Select the smallest sized sprinkler head possible for each zone. When placing the sprinkler heads, make sure they water the gardens and lawns, not the street and sidewalks. Do not water for longer than needed to avoid excessive runoff. Helps to collect rainwater which is better for the soil and plants. Provides water even during a drought. Helps to reduce your water bill. Lessens the flow from storm runoff. Use it regularly to keep the water flowing. Add ¼ – ⅛ teaspoon of bleach per gallon of water. Add 1-2 teaspoon of natural liquid dish soap. Attach fine mesh or netting. Ensure it is child and pet-proof. Look for a closed system to prevent insect larvae. Make sure it has a valve to regulate the flow of water. Opt for durable materials such as resin. Ask for a warranty while purchasing.